Spoilers ahead if you’re not caught up with The Walking Dead, the show’s latest episode, or all of this morning’s related news. AMC’s The Walking Dead has enjoyed record-setting numbers over its nine seasons while finding success in a spin-off series, Fear the Walking Dead. 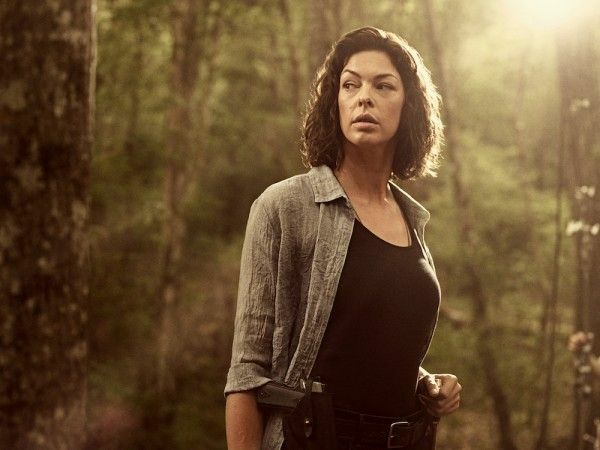 That is just the beginning for the franchise as far as Chief Content Officer Scott M. Gimple and AMC’s programming president David Madden are concerned. So while the flagship series will continue to sail into the foreseeable future, big things are coming for the franchise overall. 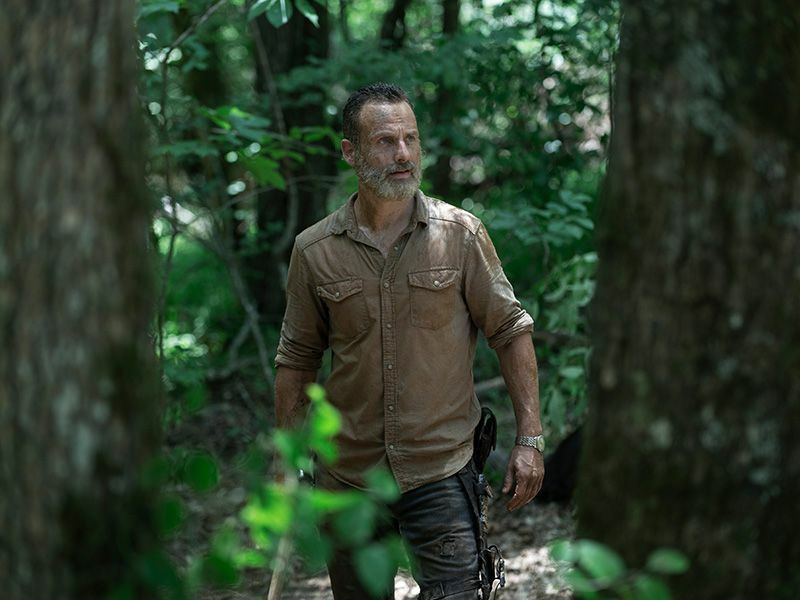 The first big thing was the announcement that Andrew Lincoln‘s Rick Grimes, the face of the franchise up to this point, will continue his journey in a trilogy of films following his departure from the series itself. Gimple and Madden teased a bit about just where they are in the planning and production of these films, but also talked about the greater Walking Dead universe beyond that. It seems like just about anything is on the table at this point–prequels, sequels, spin-offs, more character-centric movies, guest stars, etc.–but here’s what we know so far. 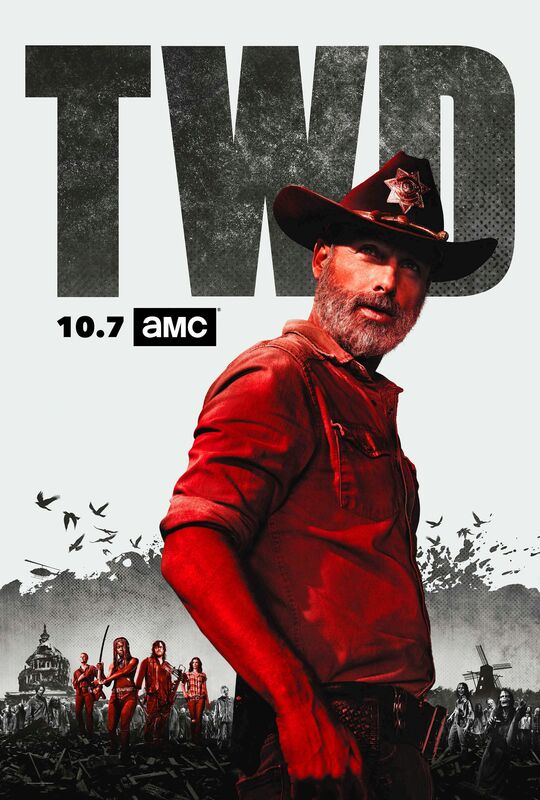 It is really important for the audience to know that we are going to be continuing to tell the story of Rick Grimes in these AMC Studios original films. 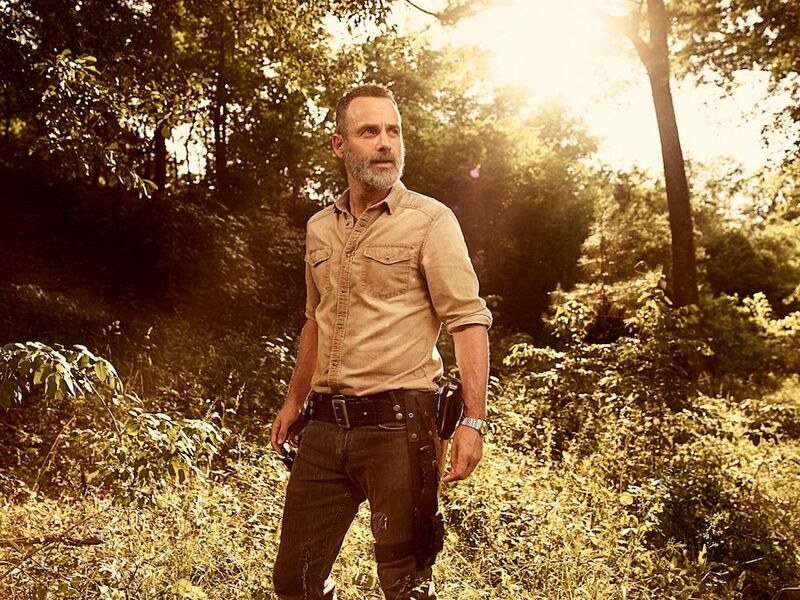 We don’t want this thing to be like, “Oh, well, he’ll be back on the show any moment now.” We are telling Rick’s story in another medium, and it’s going to be these AMC Studios original films. They’re going to be on AMC, most probably. They’re centered around Rick Grimes. We’re going to tell the story of what happens after that helicopter flight, and these are going to be big, epic entertainments. Each are quality films. That’s what’s been happening in the industry. We’ve seen Netflix make these, basically, studio films for people to watch in their homes, and we’re going to be doing the same sort of thing here. We are talking about a trilogy for this Rick Grimes story. 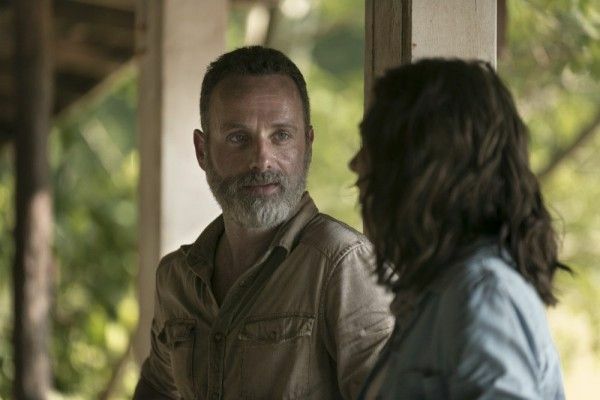 It doesn’t necessarily mean it’s the only Rick Grimes stories we’re ever going to tell, and also they’re probably not going to be the only movies that we tell. The Rick Grimes story, of course, is the biggest thing that we’re doing right off the bat, but we’re going to be doing a number of different Walking Dead things over the next few years. A universe of stuff. We’re not going to release it all at once. We’re going to be putting things out over the years for maximum effect. We don’t want to overwhelm folks with it. “There is more story to tell and we’ll be telling it … The story of Rick will go on in films. Right now, we’re working on three but there’s flexibility in that … Over the next several years, we’re going to be doing specials, new series are quite a possibility, high-quality digital content and then some content that defies description at the moment. We’re going to dig into the past and see old characters. We’re going to introduce new characters and new situations. I am extremely hard at work on the first one right now, and most likely filming next year, though I’m freaking out about deadlines right now, so I’m not going to tell you exactly when because it will only make me pass out. But it really is going to be sooner than later. On the flip side, these are not going to be made on television schedules. This is going to be on feature schedules, and they’re going to be big, so they’re going to take a minute to make. She is on that helicopter, so that would be a yes. But we’re going to see all sorts of different Walking Dead projects in all sorts of ways with old standbys, with new voices, which is really important to me. And they’re all going to be very different and distinct from the shows. We have this one show amazing show that is showing the beginning of its civilization, and we have this other show with these folks who are trying to make up for the things that they did. We’re going to be having different entertainments, different narratives within The Walking Dead. Different tone, different characters. We’re also going to see old characters — review some content with old favorites. We get to revisit them and see stories of their past that we might not have shared before. We’re going to see the past, we’re going to see old characters. We’re going to move into the future with new characters. We’re doing films, we’re doing specials. We’re going to be looking at new series. And even just different expressions of series — not necessarily 16 episodes. We might be doing some mini-series. We’re looking at different ways to tell stories. It’s very important that these be distinct from the other two shows or they really won’t be worth doing. We want to answer questions that the audience had all along. We want to see just different parts of the world. We really want to expand out the breadth of what The Walking Dead can be.